Please find below the important points you need to know before embarking on a fantastic online gaming journey with us. We’ve taken care not to leave anything out because despite the fact that T&C’s have a reputation as ‘fine print’, we really like things to be big, bold and clear. We are proud to state that we are fully compliant with the Consumer Rights Act 2015 (also referred to as the CRA). Our Customer Support Service is available 24 hours a day to assist and resolve with any questions or queries you may have in this regard, and for further information, please see point 93 under the heading CASINO DISPUTE RESOLUTION for the appropriate contact details. The Casino Terms and Conditions are liable to change, and when they do, we’ll indicate it at the top of this page, just below the heading ‘TERMS AND CONDITIONS” and we’ll also endeavour to let you know. The following Terms and Conditions are legally binding to anyone who opens an account and makes use of Big on Bets (the ‘Casino’), gaming platform or any services affiliated with it. By accessing the Casino you represent and warrant that you have read, fully understand and agree to comply with these Terms and Conditions. Should you be deemed to be in contravention of any of the terms or conditions, the Casino will reserve the right to take appropriate action as deemed necessary by Management and/or our legal advisers. It remains your responsibility to check on the Terms and Conditions from time to time to ensure that you agree with them, and your continued use of the casino will be deemed to be your acceptance of any changes we may make. The Casino is not a financial institution and thus players shall not expect interest on their deposits nor on the balances held in their accounts. It is the player’s responsibility to know if online gaming in their country is legal. No casino account should be opened if online gaming is illegal or not permitted. All players must register their accounts personally; no one else may register an account for or on behalf of a player/person. Players must enter valid details when registering an account. All identification, address, contact email and personal telephone number must be accurate and up to date. It is important to note that all players must ensure that their account details are always up to date, the onus is on the player to ensure this is maintained. It is strictly prohibited for players to sell, transfer and/or acquire accounts to/from other players. It is strictly prohibited for players to transfer funds amongst player accounts. The purpose of the collection of player information is to ensure accurate verification and facilitation of deposits, withdrawals, bets by the registered individual. A player registration may be refused or an account closed at the sole discretion of Big on Bets Management, however contractual obligations made will be honoured. The casino reserves the right to Refund or Cancel an account should it be determined that a player has contravened the terms and conditions. All deposits made by a player will be refunded back to the deposit method used and the account cancelled. Big on Bets is Managed by Continental Gaming (Malta) LTD, a company registered in Malta with registration no C42302, and address DSLR Suite 470, Ftieh Street, Birkirkara Bypass, Birkirkara BKR2940, Malta. With effect from 1st November 2014, Continental Gaming (Malta) LTD is licensed and regulated by the UK Gambling Commission with reference number 000–039347–R–319422–007, (view license status here). British Players are subject to the regulations of the UK Gambling Commission and the laws of the UK apply. In case of any discrepancies, the terms of the End User License Agreement under which we operate shall always take precedence to any terms or condition below. The name "Big on Bets", all of its associated artwork and service marks are registered trademarks. All software and website content found on the Casino website are protected by copyright and remains the property of this online casino and its licensees at all times. The Casino software and services are made available to you for personal use only. However, any use of these is at your sole discretion and risk. British Players (England, Scotland, Northern Ireland and Wales) are accepted at the Casino and are subject to the regulations of the UK Gambling Commission. Our Services are not intended for individuals who are under the legal age of gambling in their jurisdiction. We do not knowingly record or retain any personal information from such individuals. In the event that we inadvertently gather personal information in relation to a minor, we will take reasonable measures to promptly close any relevant accounts and remove any records where possible, other than such information as will allow us to identify and prevent future access from such individuals. Under age gambling is a criminal offence. The Casino will carry out age verification checks on all accounts and will require clients to provide necessary further documentation in regard to these verification checks. All players must be at least 18 years of age in order to register or the applicable age in their respective country, provided that the requirement is that a player must at least be 18 years of age. The employees and immediate family members of the Casino and any companies associated with it are also not permitted to take part in any promotion offered by the Casino. Failure to adhere to the above will result in the locking of an account and the forfeiting of any winnings. All depositing players will be contacted telephonically by our support staff to verify the account details of the registered player. This forms part of the Big on Bets’s Know Your Client security checks. All deposits on a player's account will be verified and is done to ensure the security and safety of all players at the casino. You will not be allowed to have multiple accounts. You must not attempt to bypass any of the restrictions which prevent the creation and/or use of multiple accounts. The Casino enforces this rule in order to prevent bonus abuse and other fraudulent activities at the casino, thus all multiple accounts will be closed and any related transactions cancelled if identified as belonging to one person. It is your responsibility to keep your username and password safe and private at all times to maximise the security of your casino account. Do not share your details with anyone. Should you suspect that your account is being used without permission, contact the Casino and we will assist you further. In accordance to our UKGC licence, we are required to inform Players about what happens to funds which we hold on account for you, and the extent to which such funds are protected in the event of insolvency. We comply with the UK Gambling Commission's requirements for the segregation of customer funds at the level: basic segregation. Further details can be found at http://www.gamblingcommission.gov.uk/PDF/Customer-funds-segregation-and-disclosure-tocustomers.pdf. In summary, note that any money deposited by you, to your Casino account, is held in a bank account that is separate from our company account. In the event of insolvency, no player funds are insured nor are they guaranteed, sponsored or protected by any deposit or banking insurance system or any other similar insurance system. If a player account has not recorded any activity for an extended period of time, the casino will remit the balance remaining in the player account to the player, should the casino be unable to satisfactorily contact the player the funds will be held until such a time as the player contacts the casino to request the funds. The following Bonus Terms and Conditions apply to all offers at the Casino. In the event that there is a conflict between these terms and conditions and a promotions specific terms and conditions, the promotion specific terms and conditions shall prevail. Players making use of “Playing for Practice” Mode are not able to claim the New Player First Deposit Bonus whilst in this mode. A 100% match bonus will be awarded for a minimum deposit of £20 (or more) made on your first purchase. The maximum bonus is £250. If you deposit £20, you get an additional £20 so that you end up playing with £40. If you deposit £50, you get an additional £50 so that you end up playing with £100. If you deposit £300, you get an additional £250 (because the “up to” amount for this match bonus offer is £250), so you’ll end up playing with £550. This New Player First Deposit Bonus is subject to 40x wagering requirements and terms as set out in our Bonus Terms and Conditions. Claiming a £20 bonus requires 40 times wagering and equates to £800* (£20 x 40 wagering = £800) in bets. Claiming a £50 bonus requires 40 times wagering and equates to £2000* (£50 x 40 wagering = £2000) in bets. 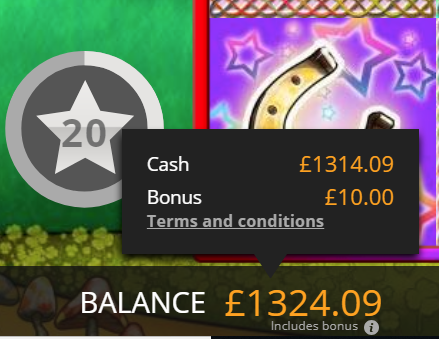 Claiming a £100 bonus requires 40 times wagering and equates to £4000* (£100 x 40 wagering = £4000) in bets. **All bet amounts examples are based on bets, wagered on games that contribute 100% to the wagering requirement. For information on all Wagering for Bonuses – Playthrough Requirements on all game types, refer to Point 5 below. Withdrawal limitations are based on entry level Peasant tier and is £1,000 per week. *Percentage of wager placed that counts towards meeting wagering requirement. A New Player qualifies for only one New Player First Deposit Bonus / Promotion when they join Big on Bets. The new player bonus with code: WELCOME is available to new players on their initial & first deposit only. Please Note that you will not be allowed to have multiple accounts at Big on Bets. This bonus offer must be claimed within 7 days of making a minimum ₤20 deposit. The casino may, at their sole discretion, change the terms and conditions for any reason whatsoever. Changes to terms and conditions will be indicated with a “Last Updated” notification on the website. The following Bonus Terms and Conditions apply to all offers at the Casino. In the event that there is a conflict between these terms and conditions and a promotions specific terms and conditions, the promotion’s specific terms and conditions shall prevail. The Casino bonuses and promotions are communicated by email, direct mail, or to an individual casino account. These offers are not transferable and will only be valid to the person addressed, unless otherwise specified. When playing with a match bonus, cash deposited is played first, followed by the bonus. A New Player Bonus can only be claimed once at the Casino and the detailed terms and conditions that apply to any First Deposit or First Purchase offer is described in detail in the section headed FIRST DEPOSIT BONUS TERMS AND CONDITIONS. Free money bonuses, free spins, and tournament bonus wins may not be claimed in succession without a minimum deposit of £20 being made at the Casino. Should a player succeed in claiming two or more free money offers in a row without making at least one deposit between offers, all winnings related will be made null and void. All free money offers are valid for one claim per person, PC/IP address, credit card/debit card number, family, home or e–mail address, or environment where computers are shared (public computer area). When playing with what is termed “Restricted Funds”, which is either bonus money, free spins and/or loyalty bonuses, we will ensure that you are aware by including the caption “Includes Bonus” directly below your casino balance amount in the casino. You will also be able to check your balance in play, by clicking the i (information icon) that is visible next to “Includes Bonus” as shown on this example screenshot below. Please note that if you are NOT playing with what is termed “Restricted Funds” and are using your own cash, the “Includes Bonus” line will not be visible as it’s not applicable. Match bonus codes must be claimed within 7 days of a deposit being made. The bonus code will expire when this time has lapsed and if so, our Customer Support Desk will only be able to offer you a free bonus of the same value. This will carry the normal free bonus withdrawal restrictions. The Maximum bet when a bonus is active in a player’s account is £8 per round and 50p per line. Failure to follow this condition may result in forfeiting any winnings. . Please note that Players may not claim match bonuses on consecutive deposits without making a straight deposit in between, where no match bonus was claimed on the straight deposit. When referring to "consecutive bonuses", it is understood to mean "following each other continuously" and "in succession", regardless of the time period in between. Failure to adhere to this condition/stipulation, may result in forfeiting any winnings. Player’s that have never deposited at the casino may only make a withdrawal on any bonus, free spins or loyalty points, once a real money deposit has been made by the player. The deposit made, will not be combined with the withdrawal amount, but rather placed in the player’s account once the withdrawal has been paid out. The player will then have access to the deposit amount as a cash balance subject to all normal casino terms and conditions. If a player has an active bonus and wins more than twice the value of the bonus amount, they must stay playing in a game of similar or equal contribution (as outlined in the point above) until wagering has been completed. Moving from low contributing games like Blackjack, to high contributing games like slots, after a large win, for the sole purpose of completing wagering requirements, will result in the bonus and any winnings being removed. Where an option to choose between two or more free money or deposit bonus offers, is presented (i.e. Claim this OR that offer), you will be required to choose only ONE of the alternatives. In the event that you are able to claim more than one of these alternatives despite the conditions stated, any winnings acquired will be made null and void and your deposit will be refunded. For the purpose of all bonus–promotions, dates and times shall be calculated according to British Standard Time (BST). to deny a player any bonus where a player has been identified as a bonus abuser at the Casino. In such cases, the original deposit will be refunded, however, the player will not benefit from the bonus or promotion he / she is judged to have abused. to restrict bonus claims or promotion entry for reasons including but not limited to bonus or promotion abuse. disqualify a player from a promotion or bonus and void any winnings, if a player is found to have deviated from the promotional rules. Each promotional Term and Condition is severable from each of the other Terms and Conditions. If any Term or Condition is found invalid, unenforceable or void for any reason, the remaining Terms and Conditions shall remain in force. 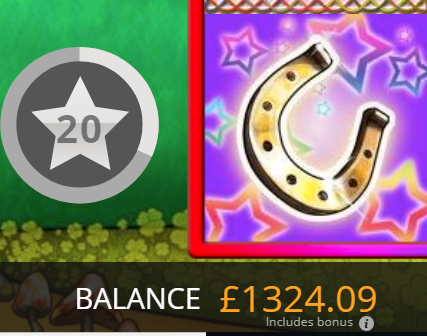 Medals can be won during play on any game, at any time, however The Casino will only award bonus prizes for medal wins if and when there is an active medal promotion that has been advertised. No prizes will be awarded for medal wins during "free money" play. If participating in a medal promotion, you will need to contact our Customer Support Desk to claim your prize. You can only receive one prize per day for the duration of the medal promotion, and this will be based on the highest medal won on that day. This also applies if there is more than one medal promotion running: only the highest medal out of all the ones you have won will be credited for the day. In order to withdraw winnings from a bonus of any kind the bonus will first have to be cashed out, leaving the player’s account with the withdrawable cash value. All valid withdrawals will only be remitted to the same account/by the same method from which the deposits originated. To facilitate the large amounts of withdrawal requests received daily, all withdrawals will be processed after a 24 hour waiting period. Actual payments to player accounts are made daily from Monday to Friday, but only once the mandatory 24 waiting period has lapsed. You have the option to reverse your withdrawal request; however, a reversal will not be treated as a deposit and thus will not qualify for any deposit match bonuses. Anytime a withdrawal is reversed, regardless of the amount, the withdrawal pending period (24 hour pending period) resets to zero. A completed Authorised Deposit Report Form, which will sent to you. This will need to be completed and returned to The Casino. Each page should be initialled and all fields filled. Once the above has been received, withdrawals will then be reviewed and processed by the cashiers. The maximum withdrawal amount per week will depend on which stage of the Loyalty Programme (Loyalty Tier) you are on (see "Maximum Withdrawals" for more details). If the amount requested for one withdrawal is above your Loyalty Programme level limit, only the maximum amount allowed will be processed and the rest will be returned to your account. You will then need to initiate a new withdrawal. Please note that The Casino and its cashiers will not be held responsible for any delays in receiving your returned monies or possible new wagering requirements if the monies returned becomes affected with an active bonus. Deposited funds can be withdrawn at any time, however, any associated bonus will first need to be forfeited. Please ensure all game rounds are completed before attempting to forfeit a bonus. The Casino reserves the right to audit any and all withdrawals and further reserves the right to reclaim bonuses or winnings for failed audits – the original deposit will be credited to the player’s account in these cases. Before all withdrawals are processed, all wagering and betting will be reviewed for any irregular patterns. To ensure fair gaming, equal, zero or low margin bets or hedge betting, shall all be considered irregular gaming. Examples of irregular betting include but are not limited to, placing single OR multiple bets on a single game equal to or in excess of 30% or more of the value of the deposit made on the account. You may not make use of any betting software or robots to play on the casino, Big on Bets take measures to prohibit the use of robots or devices that distorts the casino normal game play. Big on Bets strictly prohibits player collusion and will close any account found to be involved in player collusion. Should the Casino deem that irregular game play has occurred; the Casino reserves the right to withhold any withdrawals and/or confiscate all winnings. Should this occur, your deposit will be refunded back to you, and you will be reported to the necessary authorities. Please ensure to withdraw the entire amount won. Our cashiers will process £100 and forfeit the remaining balance. 78. If the £100 withdrawal has been made and you continue to wager the balance of the winnings accrued from a free bonus or loyalty points as stated above, any and all winnings, loyalty points, and loyalty gifts resulting from these wagers will be considered null and void. 79. Only 1 withdrawal is permitted for winnings accrued while playing with a free money offer (i.e. no deposit offer). No withdrawal request will be completed if a player has won using their second free money offer, but has not made a deposit between their two free money offers. 82. Please remember that protection of your privacy begins with you. You are responsible for maintaining the secrecy of any username or password you use to register and you should always be careful and responsible whenever disclosing information online. 83. The Casino promotions, bonus offers, and information will be communicated with you through the email address you have registered with us upon signing up for your account as well as direct mailer promotions that will be sent to your registered physical address. 84. The Casino undertakes to report any suspicious activity that could be in contravention of the law. This is including but not limited to: suspicion that criminal activity is facilitated through our casino, the use of money suspected to have been gained illegally, or the suspected intention to conceal or disguise funds. 85. If any fraudulent activity is suspected, the Casino will reserve the right to: refuse access to our casino, or deactivate or close the account, withhold money held in a suspect account, and report the matter to the authorities as and when found necessary. 86. Any form of cheating, suspicious or pattern behaviour will result in winnings being forfeited and your relevant deposits being refunded back to you. 87. The player shall forfeit any winnings made as a result of computer or software error. 88. In such an event the Casino shall be liable for your initial deposit only. Any bet lost due to a system error will be refunded back to the client account. 89. Cheating of any sort shall result in the forfeiture of all balances in your account. Such forfeiture does not prevent the Casino from instigating legal action, should it be deemed appropriate. 90. Players are strictly prohibited from utilising the Casino and its systems to facilitate any type of illegal money transfer system. You will not use the website or software for any unlawful or fraudulent activity or prohibited transaction (including money laundering) under the laws of any jurisdiction that applies to you. All deposits and withdrawal transactions are reviewed and monitored to prevent money laundering. 91. If the Casino has a suspicion that you may be engaging in or have engaged in fraudulent, unlawful or improper activity, including, without limitation, money laundering activities, or conduct otherwise in violation of these Terms and Conditions, your access to the Casino will be immediately terminated and your account locked. If your account is locked or cancelled in such circumstances, the Casino is under no obligation to refund any funds that may be in your account. 92. In addition, the Casino shall be entitled to inform relevant authorities, other online service providers and banks, credit card companies, electronic payment providers or other financial institutions of your identity and of any suspected unlawful, fraudulent or improper activity and you agree to cooperate fully with the Company to investigate any such activity. 93. Complaints, claims or disputes regarding any activity at the Casino should be submitted to our Customer Support Desk as soon as possible. Post: Big on Bets, DSLR Suite 470, Ftieh Street, Birkirkara Bypass, Birkirkara BKR2940, Malta. NOTE: Failure to submit your communication as outlined above will result in your complaint/claim not being appropriately categorised and investigated for a timely resolution. 94. Upon receipt, best efforts will be made to resolve any reported matter promptly and, at a maximum, within one month. The Casino undertakes to make every effort to address your query and work towards a satisfactory outcome. 95. We have engaged the services of the independent Betting Adjudication Service (IBAS) as an alternative dispute resolution entity. Unresolved disputes can be raised with the Alternative Dispute Resolution body Betting Adjudication Service. 96. You are solely responsible for reporting and accounting for any taxes applicable to you under relevant laws for any winnings that you receive from us. 97. Continental Gaming (Malta) LTD is a company registered in Malta with registration no C42302, and address DSLR Suite 470, Ftieh Street, Birkirkara Bypass, Birkirkara BKR2940, Malta. With effect from 1st November, Continental Gaming (Malta) LTD is licensed and regulated by the UK Gambling Commission with reference number 000–039347–R–319422–007, (view license status here). British Players (England, Scotland, Northern Ireland and Wales) are subject to the regulations of the UK Gambling Commission and the laws of the UK apply. 98. The Casino strives to create and maintain a responsible gaming environment. We acknowledge our duty to assist and help prevent excessive and compulsive gambling. Please view our Responsible Gaming policy here. 99. The Casino offers a Player Protection facility. This can be found under the Player Account Section and may be utilised to, set notifications on the casino session reminder, set financial limits on bets and losses, set limits on session times, right of self exclusion, as well as a timeout period facility. Further information may be found on our Responsible gaming page. 100. The period of the Agreement is in principle unlimited, however Big on Bets reserves the right to terminate the Agreement between any Player and Big on Bets at any time by giving immediate notice to the Player telephonically and/or via email. After termination has been implemented, the Player will not be able to carry out new transactions as the account will be locked permanently. 102. This refund policy is an attachment to our normal Terms and Conditions so please read and ensure understanding of both documents before playing. 103. If any credit card purchases are considered to carry an unacceptable risk for security or legal reasons either by our credit card processors or by our Casino managers, the Casino will initiate refunds for all such transactions back to the credit card, and notify all the appropriate authorities and parties. 104. If, for any reason, you are not satisfied with your subscription to Big on Bets, we will on request issue a refund for the balance currently held in your account. Before a refund is processed all bonus chips in your balance will be deducted prior to calculating the amount to be refunded. 105. Should a player wish to recover their funds that are in an account that is dormant, closed, blocked or excluded from the casino, they are advised to contact our Customer Support Desk. On doing so, their request will be processed and arrangements will be made between the player and the casino to ensure that these funds are returned to the player. - delays, losses, errors or omissions caused by a telecommunications or any other data transmission system fail. - any loss as a result of an act of God, such as earthquakes, floods, lightning or other natural causes. - fires, explosions, theft, malicious damage, strikes, or any event/major occurrence that is out of our control, including outbreaks or acts of terrorism. - third party misuse or disturbance of any information shared by us on the Internet. - acts of government or authority (for example the revocation of a license). - The Casino central computer system (or any part thereof) failing. - for any damage caused by the interception or misuse of any information transmitted over the Internet. 107. Please note that any malfunction voids all plays, and pays. 108. The Casino will not force you to honour any obligation other than what is provided for in these Terms and Conditions. Similarly, you cannot force the Casino to honour any obligation outside the parameters of our rules and regulations. 109. The Casino reserves the right to limit or refuse any wager if the account is found to have contravened the terms and conditions or is fraudulent. 110. Liability for materials obtained from the Casino containing any error is limited to replacement. 111. If any of our material is tampered with or altered in any way by a party outside of the Casino, the information held within will automatically become void. 112. It is the player’s responsibility to ensure that materials sent to the Casino for a prize claim is complete, accurate and legible. The Casino does not undertake to return any such material to the player. 113. In case of British players registering an account with the Casino, and the Casino being unable to process a verification check within 24 hours, or failing an adequate response from the player within this period of time, the Casino is permitted and required to perform a third party identity check to verify the players’ information for the registration procedure to be compliant with regulations. In the event of any irregularity, the Casino is additionally obligated to implement further authentication safeguards, including the request for supplementary verification documents to be supplied by the player. In the event that the additional documents and information is not received within 24 hours of the Casino having issued the request, the player's account will be closed and can only be reinstated once all prescribed conditions has been adhered to successfully. Please note that it is not necessary for the Casino to seek permission from the player to carry out these verification processes. The Casino therefore encourages players whom register an account to ensure they contact the Casino within a 24 hour period to ensure the fastest possible way to get their account activated. 114. Should there be a difference between the results on the Casino’s gaming server and your own results on your computer, the results on the casino server shall be considered correct and final. 115. All Genii games have been internally confirmed to abide by the RTS standards and are tested by iTech Labs (one of the UKGC accredited testing facilities) to confirm compliance by UKGC RTS. 116. Should a refund request arise, management will review each request individually and make a decision. 117. Continental Gaming Malta Limited ensures that any advertising/campaigns displayed to players are in line with the relevant advertising codes of practice. 118. The Casino reserves the right to terminate an event or a casino game without prior notice. This will only occur should it be deemed that a game and/or event is found to have contravened or has not met the required rules and standards as set out by the UK Gambling Commission. Deposits made with above credit and debit cards as well as Digital wallets are instantly credited to the players’ casino account.